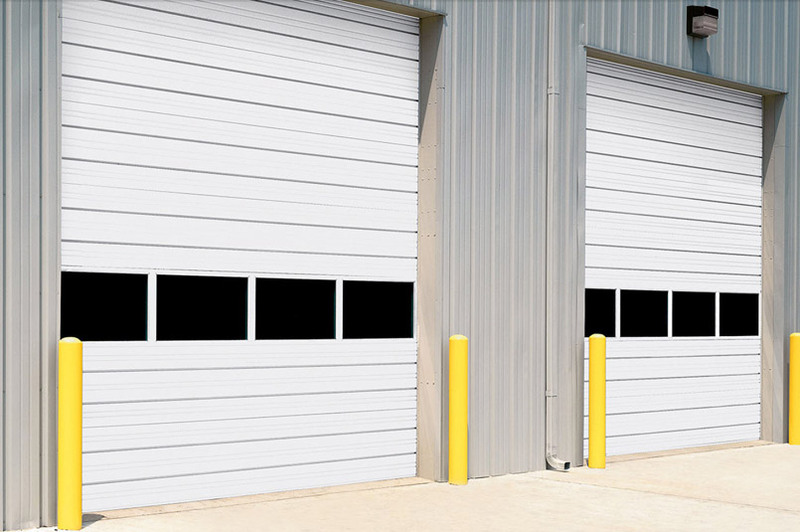 ​​​​​​​​​​​​​​​Sectional steel door model 432​ offer a 2" (51 mm) panel thickness, a nominal 24-gauge ribbed galvanized steel exterior, and a poly-bonded back cover. Polystyrene insulation provides an R-value of 7.35. A variety of options makes this door an economical solution for applications requiring a medium-duty insulated steel door.